Hello, and welcome to Prediction Week at The Dynasty Guru! This week we’re taking a step away from our normal long-game of dynasty baseball and focusing specifically on helping readers win leagues in 2019. And because Opening Day is only a few days away, we thought it would be the perfect time to set some of our most bombastic, last-second takes in stone. 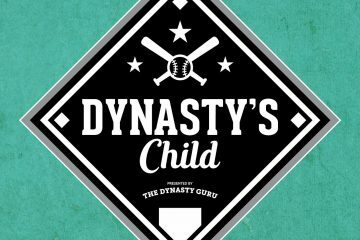 We’ll be featuring a different topic each day this week, and a band of our finest Dynasty Gurus will do their best prognosticating in anticipation of what will surely be another terrific baseball season. While I think there could be a very impressive offensive season incoming from the 20-year-old Juan Soto, today I want to talk about Joey Gallo. I have been on the Gallo bandwagon since he was a young prospect, stashing him on my dynasty team since he was 18 or 19. I have been fascinated watching his development. He sometimes struggles to adjust when he faces smarter, more advanced pitching, but when he does adjust, monster numbers follow. Nowhere has this been more apparent than at the Major League level. He has always hit for power, and that power is currently carrying him despite a miserable batting average. However, I think he will figure it all out very soon. Mark my words, there is a monster peak career that Gallo has not yet reached. A player that I continue to take this draft season in both dynasty and redraft is Jameson Taillon, usually as a #2 starting pitcher. My draft approach with starting pitching is to try to get two in the first seven rounds that have some level of safety, preferably with a shot at 200 innings, before looking for upside options later. In my mind, once the first ten starting pitchers or so are off the board, Taillon seems as safe as anyone. He did not allow more than three earned runs in any of his last 22 starts last year, a stretch in which he went 12-6 with a 2.71 ERA, and 1.14 WHIP. That seems like SP1 upside to me, especially if he can throw a minimum 191 innings like last year. Taillon made a noticeable change, adding a curveball at the start of that 22 start stretch, which is why I feel comfortable expanding this out to a full season. In redraft formats, Taillon is being selected between 70-72 on CBS, ESPN, and Yahoo, which seems reasonable. One last thing I’ve noticed in both dynasty and redraft formats is that Taillon and Jose Berrios tend to be drafted back-to-back, two pitchers who broke into the league in 2016, both crossed the 190 inning threshold last year and should both continue to deliver a WHIP under 1.20. Berrios is a great choice in this range as well, but I tend to give a slight edge to Taillon. I was boring myself just thinking about this target for 2019, but boring often equates to fantasy wins, and we’re all primarily in the business of accruing fantasy wins. Michael Brantley is about as underwhelming of a draft recommendation as one can make this year, but he’s simply being drafted a few dozen spots too low in standard drafts, and a few dollars too cheaply in auctions. Brantley seems to have shed his “injury-prone” tag after racking up 631 plate appearances in 2018, and his solid production returned last year as well. Brantley slashed .309/.364/.468 while helping out fantasy owners across the board (17 homers, 12 steals). Now in Houston, Brantley should see additional benefit from batting in the middle of a loaded Astros lineup, which is probably at least a slight upgrade from his prior context in Cleveland. Nonetheless, Michael Brantley is just your run-of-the-mill vet who you probably won’t be sorry you settled for in 2019. It’s a little late now, but Chris Paddack’s crazy off-season hype train is fully justified. His minor league performance is generational, with the lowest xFIP in the California League in the history of Fangraphs leaderboards by over a full run (1.77 xFIP for Paddack, ~3.00 for the next best guys, Dean Kremer and A.J. Puk, minimum 50 innings, the FIP story is similar). Further, Clay Davenport offers major league equivalent statistics, to translate minor league performance to an MLB baseline, and I haven’t yet found a pitcher with better career minor league performance than Paddack—and not for a lack of trying. Peak luck-free MLB equivalent ERA (a similar metric to FIP or xFIP) for Paddack’s minor league performance, adjusted upward for aging, is under 3.00, and no other pitcher comes particularly close—from Jose Fernandez to Pedro Martinez. I’m quite excited to see how his performance translates to the MLB, and I suspect he’ll be a top 15 pitcher heading into 2020. Have you heard that Joey Votto is good at baseball? Have you heard that he’s 35 years old and just came off a 12 home run season? Yikes! As many dynasty owners are looking to jump ship, I’ve found myself buying up all of the cheap Votto shares. Whether or not you play in OBP or BA leagues, Votto is the best of the best at first base. As a result of this prodigious on-base ability Votto has scored 95+ runs six times in his career including three of the past four seasons. As for the power concerns, he’s only failed to hit 20+ home runs twice before last year and both of those seasons were severely truncated by injury. The bottom line is the Reds got a whole hell of a lot better on offense and I’m betting that last year was more of an outlier than the new normal. Votto is signed through 2023 and isn’t going anywhere anytime soon. I would say it is much more likely that he will be elite over that timespan than otherwise proving that players over 30, or in this case 35, are not always a poor investment in dynasty leagues. Long live Joey “tight pants” Votto! Reds outfielder Jesse Winker has been flying under the radar despite owning a career .299/.397/.460 slash line in the majors. His first two seasons have been marred by injury, but when he’s been on the field he’s hit at an All-Star level. 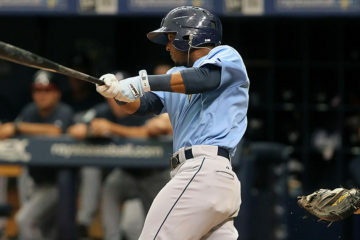 He has a career 130 wRC+, which ranks him 30th in the majors over the past two seasons. He accomplished that despite playing all that time with a shoulder injury, which has now been surgically repaired. Now that he is fully healthy for the first time in his career I expect his power to blossom. Combine that with his already elite pitch recognition and his discerning eye at the plate and we have a potentially elite fantasy hitter on our hands. Expect him to produce .300 batting averages, .400 on-base percentages and about 25 home runs per year for the next several seasons. I was tempted to write about Franmil Reyes, because Franmil is king, but I know you’ve heard enough about him already so I’ll pivot and write about another power bat that deserves your attention: Eugenio Suarez. Our own Jim Melichar incessantly ranted about Suarez’s ideal batted-ball profile before 2018, and Suarez validated ol’ Melicharts with 34 homers, over 100 RBI, and a .376 wOBA. Unsurprisingly, Jim remains the game’s premier Suarez Truther. I have now gone full tin-hat wearer as well, thanks to Jim. I took the Red 44th overall, and above Anthony Rendon in The Great Fantasy Baseball Invitational. Suarez’s price simply does not account for his power ceiling. He’s being drafted behind Rendon and Vlad Jr. Considering what Suarez just did, I don’t see why. Eugenio is 27 and will hit in the heart of a much improved Cincy lineup. Don’t sleep on him. Suarez is for real. TDG's Triple Play: Boston Red Sox!